Here is a posting I wrote when I had Ian’s cute little feet as my header. I wanted to focus on Ian’s feet since I enjoyed that part of the photo so much. In fact, this is one of my favorite pictures of him when he was younger since he is having such fun exploring a new texture under his toes. 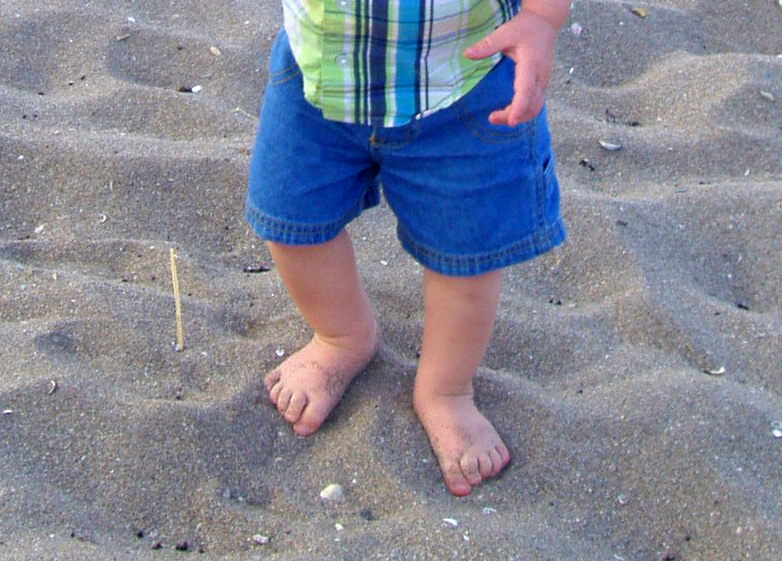 This picture was taken in Fort Pierce, Florida, when Ian was about 2 years old. He was still quite small but very fast. At times, we’d have to run after him to keep up. We were visiting family and had the pleasure of owning a condo there for a while. We have since sold it but have many great memories of our time on the east coast. This beach is private and has lots of shells to look at. Collecting shells is one of my favorite things to do at the beach. Ian discovered this as well. At a nearby beach, Ian saw sand for the first time when he was 5 or 6 months old. He loved it! As you can see in this picture, he was having so much fun walking through the sand. He liked the feel on his toes. You will notice that he is barefoot. He was walking very fast while sucking on his paci. At that age, he was always with that pacifier. Now he is 6 years old and still loves going to the beach. He still likes to run as he is exploring new things and continues to be a lot of fun. His feet have grown quite a bit since this photo was taken. Hope you enjoy his two feet.